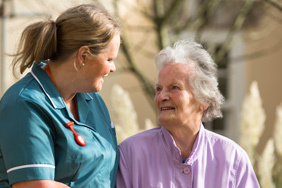 Designed to offer the highest standard of care within beautiful surroundings, Casterbridge Manor specialises in providing compassionate, professional care, which is specifically tailored to the needs of every individual. We strive to ensure that every resident feels valued and respected. Casterbridge Manor is a place where dignity, comfort, care and compassion lie at the very heart of all that we do. Our goal is to provide a safe and comforting home from home environment, with the added benefit of a highly trained and dedicated team of caregivers who are available 24 hours a day. We are committed to providing the very best quality of life and an extremely high standard of living. 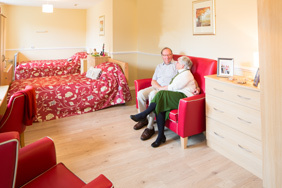 Our care is personalised to the needs of every individual, from tailored meal plans and bedrooms, to high quality medical care and stimulating activities, all delivered within a safe, secure and homely environment. Our commitment to providing a warm and friendly, community focussed environment is evident in the facilities offered throughout Casterbridge Manor. We believe that meaningful social interaction and keeping an active mind are central to quality of life. As such, we offer all of the essentials you would expect in any community. 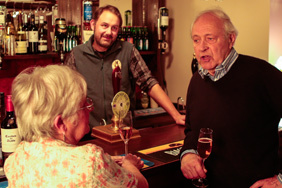 Our cafe, pub and a choice of lounges offer an opportunity to relax and socialise with friends and family, while the library, cinema room, activity rooms and specially built ‘street scene’ are ideal for stimulating memories and meeting our residents’ intellectual needs. The addition of a hairdressing salon ensures that our residents can maintain their sense of pride and dignity by meeting their grooming and beauty needs in a safe and comfortable environment. 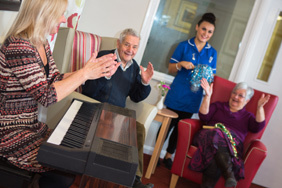 Our dedicated Activity Coordinator works closely with our residents and the clinical team to offer a range of activities which are designed to stimulate body and mind, entertain and provide an opportunity to socialise. 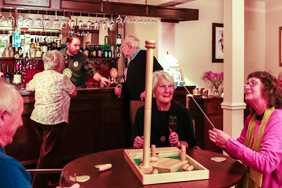 While we aim to offer a range of new and stimulating activities, we also work with residents and their families to ensure that lifetime hobbies, likes and dislikes, birthdays and special events are catered for. Personal choice, dignity and respect lie at the heart of all that we do and every individual is given the choice to join in when and if they wish to. 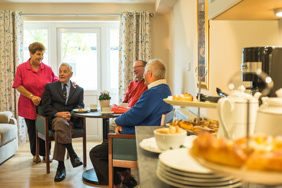 At Casterbridge Manor, community is very important to us – both within the care home environment and within our local surroundings. Wherever possible, we work with schools and local community groups to ensure that the home and our residents are very much a part of local community life. At Casterbridge Manor, our aim is to create an environment that feels like coming home; warm, caring, familiar and safe. 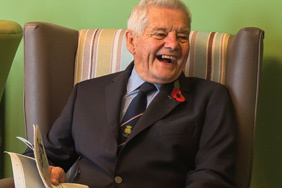 We empower our residents to maintain their independence, giving them the choice and control to make their own decisions, with the support to enact those choices safely. 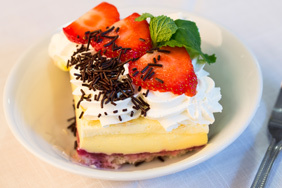 There’s no denying that enjoying a selection of good food in lovely surroundings is one of life’s great pleasures. Healthy, nutritious and delicious food can have a significant impact on the health and general wellbeing of our residents. 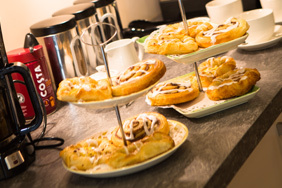 We pride ourselves on offering the best in hospitality, meeting the dietary requirements, needs and likes of each and every resident, while providing food that is both delicious and nutritious. 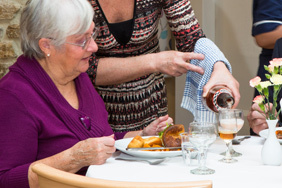 Our highly trained chef and his team work closely with our residents and the care home manager to ensure that all resident’s individual needs are met, sourcing fresh local ingredients to provide a balanced, varied and healthy menu. We want our residents to feel at home in their surroundings and actively encourage them to bring their own belongings with them. 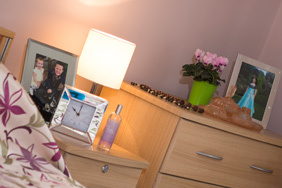 Simply adding personal touches such as photos, pictures, ornaments or soft furnishings can provide a sense of familiarity and continuity which can be vital when settling into new surroundings. Treasured possessions and photos can make a person feel comfortable and prompt valuable memories, as well as giving caregivers some important clues and talking points about the life and interests of each individual. 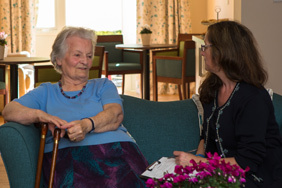 Evidence shows that relationships between staff, residents, family, friends and the wider community are the most important factor in determining the quality of life of residents living within care home environments. 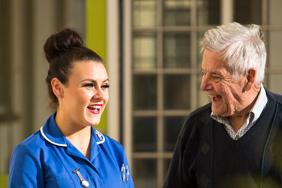 We believe that continuity of staff, good communication, dependability, respect and trust are all vital to building strong and positive relationships between staff and residents. 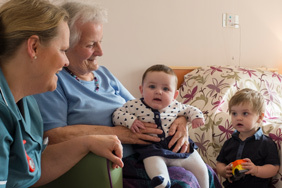 Building such relationships can help to improve the quality of care provided and ensure continuity of care, ensuring that staff are familiar with residents’ needs while also offering the security and warmth that familiarity can bring. 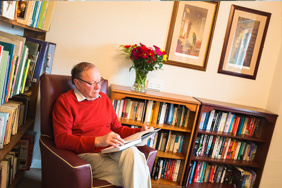 Equally, relationships between residents have a vital role to play at Casterbridge Manor. 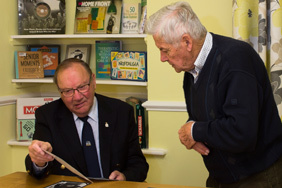 We actively encourage residents to socialise with one another in the hope that they will benefit from the mutual companionship and support offered by long-standing friendships. 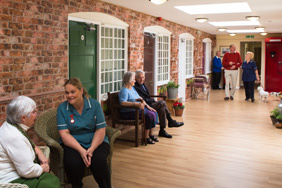 Our programme of activities and communal spaces are designed to facilitate socialisation by providing a range of comfortable surroundings for residents to share interests. Finally, we encourage family members to actively maintain their relationship with residents and staff alike. 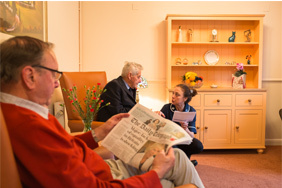 Family members are absolutely vital in helping staff to get to know each individual resident. Our open door policy is designed to ensure that family relationships are maintained and that family members consider themselves an important part of the community at Casterbridge Manor. Building and maintaining positive relationships between staff and family members is an important part of our care ethos. Our team will work with you to understand the needs of our residents. 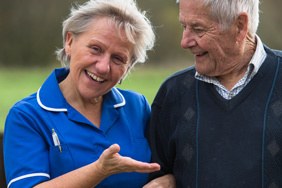 Whether you are looking for day care, specialist dementia care or nursing care, we will work with you to ensure the best solution for your individual circumstances. Our standard of care is consistently high. 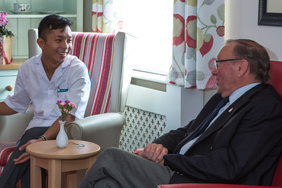 Our team are recruited for their care and empathy as well as their specialist skills, ensuring that they are attuned to the needs of our residents. Above all, we are committed to offering a high standard of care, improving the quality of life for our residents and genuinely passionate in caring for others. Maintaining social support systems and existing family and social roles is extremely important to a person’s sense of self. 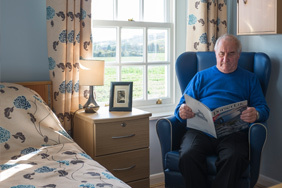 Our open door policy aims to meet the needs of families and residents alike – allowing residents to welcome and entertain friends and family just as they would in their own home. This open door policy is also evident in our approach to communication between staff and families, which is actively encouraged at all times. Our team works closely with our residents and their families to understand the changing and complex needs of every individual and tailor care to their specific needs.